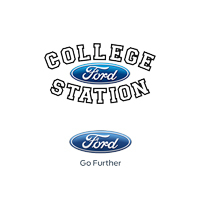 College Station Ford is the preferred dealership of Hempstead! Whatever vehicle you’re looking for, we have the car for you! We recommend you check out the new Ford 250, Ford Explorer, and the Ford Expedition. Our large new and used car inventory, friendly staff, and timely service makes us the best choice for all shoppers. We look forward to meeting y’all at our convenient showroom near Hempstead, Texas. Our service department is here when you need us with early bird hours, Saturday hours, and to top it all off, we offer a free shuttle service. In addition to being there when you need us, we are here for what you need. We offer OEM parts and accessories, Michelin Tires, Goodyear Tires, state inspections, and of course free Wifi. All we ask is that the people of Hempstead, Texas allow us to be there for you. Check out our reviews and see for yourself why Hempstead residents have been trusting us for years. We are conveniently located at 1351 EARL RUDDER FREEWAY SOUTH, COLLEGE STATION, TX 77845! See y’all soon! Had a wonderful experience buying a 19 F250 today with James the sales person! Fast and easy and no pain. I have tow Ford F150's. One is a 2016, which I purchased here. The other is a 2018 that I purchased from an out of town dealer. I always bring both of my trucks to College Station Ford when I need something. The service department is great. They always fix whatever problem I have. I was really curious about the negative reviews that I have seen on Yelp, because I have had nothing but positive experiences. My 2016 had a problem out of the Ford warranty, but it was readily fixed under the extended warranty and I was just out a $100.00 deductible. The 2018 that is foreign to this dealership has also required some work, the lane keeping system was not working and required calibration, a rather lengthy process for the service techs and it was repaired under the Ford warranty no questions asked. I really like the Service Manager, Cindy, and the techs get the job done! I just thought I would add my two cents and speak up for my local Ford Service Department!